Chief Executive Officer of AdaptiveMobile Security since 2009, Brian brings extensive experience in the global telecommunications and internet software marketplace. This experience has been acquired working across the breadth of the telecommunications industry, from original equipment manufacturer Nortel to both fixed and wireless operators; with senior positions in Telenor International, Pacific Bell, Etisalat (UAE) and with internet pioneers such as Google. Earlier in his career Brian served as "entrepreneur in residence" for Cross Atlantic Capital Partners, a US/Ireland-based fund, having been CEO and founder of one of their investee companies, MobileAware. 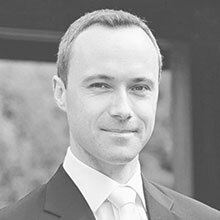 Brian has also worked as an advisor to two sovereign wealth funds and has supported large Private Equity funds in several large transactions. Brian is a business graduate of University College Dublin. Kevin is a seasoned executive with extensive experience in corporate financial management in the IT sector. 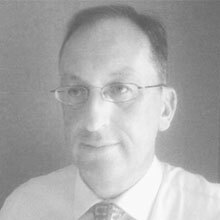 As Chief Financial Officer Kevin is responsible for financial strategy and risk management within the organisation. Prior to joining AdaptiveMobile Security, Kevin served as CFO of Valista, a multi-channel payment and settlement solutions provider for the digital content market. At Valista, Kevin led fund raising rounds with a consortium of international VC's as well as executing numerous acquisitions in Europe and North America. Prior to working at Valista, Kevin was a member of the executive management team with ISOCOR that spearheaded the floatation of the company on NASDAQ. 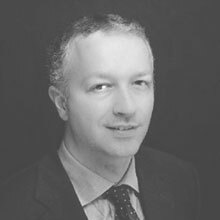 Kevin is a member of the Chartered Institute of Management Accountants, holds an MBA from Trinity College and is a Chartered Director - Institute of Directors Ireland. As Chief Operating Officer for Global Operations at AdaptiveMobile Security, John is responsible for PMO & professional services, Technical Solution delivery, threat intelligence services, managed and hosted service offerings, global technical support, SLA adherence and Client OAM. John has a passion for ensuring that AdaptiveMobile Security focuses on helping clients derive maximum business value from the Company’s solutions and fostering an operating environment that enables customers, partners and the Company to be successful. John brings 20 years of experience in operational excellence and professional leadership, as well as experience in delivery of Telco grade services and solutions, RFX management, Information Security (including ISO 27001 compliance), software as a service and enterprise software, driving profitable growth strategies for the business. Prior to joining AdaptiveMobile Security John worked for an international Mobile Telecoms Operator and large multi-national vendor. 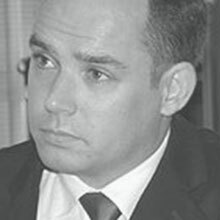 Cathal Mc Daid is the Chief Technology Officer at AdaptiveMobile Security. He is one of the world’s foremost experts in Mobile Network security and his pivotal work in the industry has been recognized by the GSM Association. As CTO his role is to define the technology strategy and long-term technical vision, as well as to lead the team responsible for applied research in the fields of cybersecurity & mobile networks. He has 15+ years of experience in telecoms, messaging and security, he is a frequent contributor to business and technology media, where his work has featured on USA Today, BBC, Forbes, Bloomberg and the Register, and he is also a regular speaker at industry events such as RSA, VirusBulletin and Mobile World Congress. 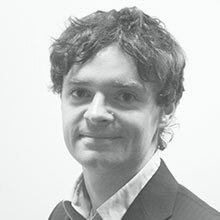 Prior to joining AdaptiveMobile Security, Cathal held technical roles in a Telecom Infrastructure provider and an EDA Software provider, as well as founding a successful Bluetooth startup. His academic background includes a BEng in Computer Engineering from the University of Limerick and an Executive MBA from INSEAD. Alan is Head of Product and Engineering at AdaptiveMobile Security. He is responsible for the delivery of our innovative security and messaging products from conception and design to implementation. 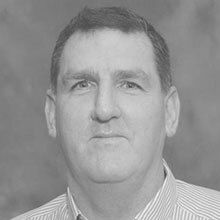 Alan has almost 20 years of experience working with mobile networks in creating telecoms-grade systems for SMS, SS7, Diameter and GTP signalling in the security and roaming domains. He has founded successful companies in the IT, telco signalling and IoT space. 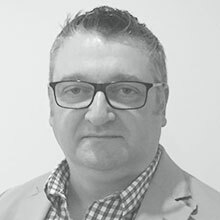 Graeme is an experienced professional with over 25 years’ experience in Telecoms managing Business Development, Product Management, Partner Channel Management, Technical Sales, and having previously lead the AdaptiveMobile Security Pre-Sales team. Graeme’s other assignments have included, a business development management role with Oracle/MySQL; Partner Management with Arantech; Product Marketing Manager with HP/Agilent, as well as technical roles with BNR/Nortel and Racal Research. Graeme is a graduate of Abertay University and Edinburgh University Business School. 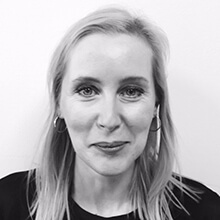 Fiona is Vice President of Finance at AdaptiveMobile Security and has over 15 years’ experience in Finance. Fiona began in Audit before moving to Industry, where she has worked for the past number of years. She joined the AdaptiveMobile team in 2009 and is responsible for the global Business, Tax and Finance functions of the Company. Fiona attained her qualifications at Dublin Business School and is a Fellow of the Association of Chartered Certified Accountants (FCCA) and a Technician Member of the Institute of Tax (TMIT).